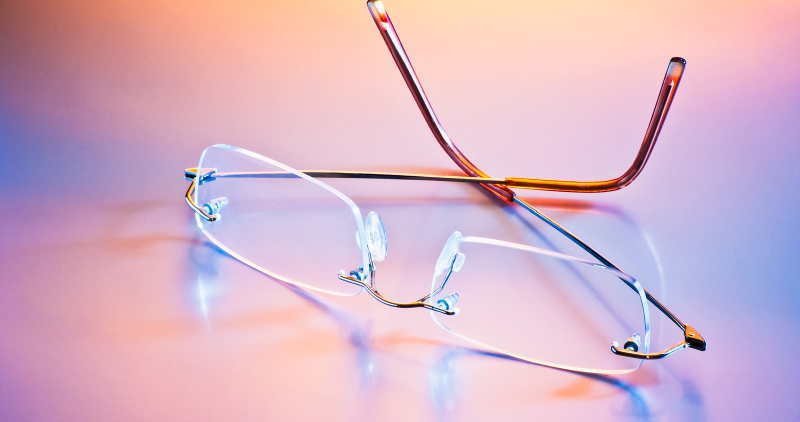 Prescription lenses in eyeglasses can be made from several different material. While all lens materials offered at Theyedoctor.com make excellent eyeglass lenses, each of these material has it's own qualities that may make them more suitable in your prescription. When we evaluate lenses we consider the optical qualities of the material, the durability of the lens material, the safety of the lens material, and the index of refraction of the material. The index of refraction is a measure of how thick a prescription lens may be. Lens materials offered online at Theyedoctor.com are plastic (CR-39), polycarbonate, trivex, 1.67 high index, and 1.74 high index. All of these lenses have great optical qualities. Better Optical Qualities compared to polycarbonate, but lower index of refraction. Suitable for drill mounted lenses. Thinnest Lens that we offer.